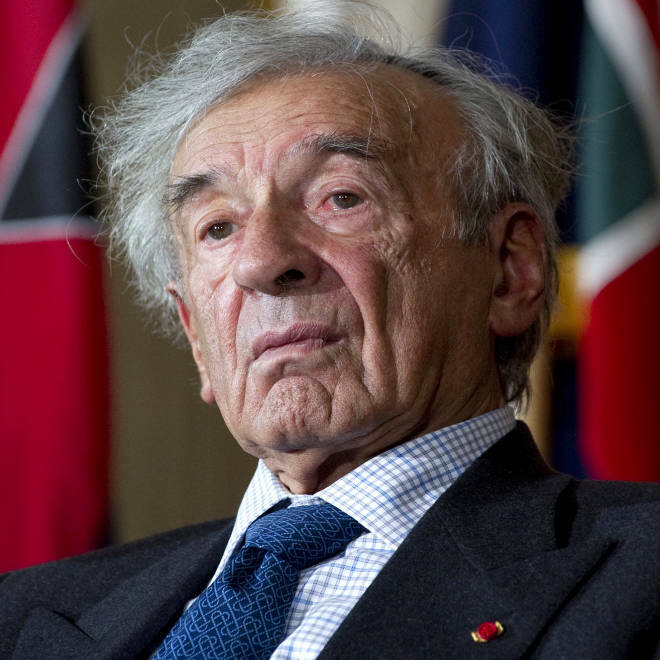 Holocaust survivor Elie Wiesel attends a National Days of Remembrance commemoration ceremony for the Holocaust in the Rotunda of the US Capitol in Washington, D.C., in May 2011. Prominent Holocaust survivor Elie Wiesel has called on Republican presidential candidate Mitt Romney to “speak to his own church” and ask them to stop performing posthumous proxy baptisms on Jews. The demand, reported on the Huffington Post website, comes after members of the Mormon church, also known as the Church of Jesus Christ of Latter-Day Saints (LDS), baptized the dead parents of famed Nazi hunter Simon Wiesenthal, an act that provoked a storm of criticism and led to an apology from the church. The site also reported that Wiesel’s name, as well as those of his father and maternal grandfather, had been entered into a database for the deceased, sometimes an early part of the process leading toward posthumous baptism. The members involved apparently were unaware that the Nobel Peace Prize winner was still alive. "I think it's scandalous. Not only objectionable, it's scandalous," Wiesel, 83, told the HuffPost. Wiesel told the site that the situation has gotten so out of hand that the most prominent Mormon in the country should speak out about it. "I wonder if as a candidate for the presidency Mitt Romney is aware of what his church is doing. I hope that if he hears about this that he will speak up," Wiesel said. The Wiesenthal case brought immediate condemnation from the Jewish community. "We are outraged that such insensitive actions continue in the Mormon temples," Rabbi Abraham Cooper, associate dean of the Los Angeles-based Wiesenthal Center, said in a statement on the group’s website. "Such actions make a mockery of the many meetings with the top leadership of the Mormon church." LDS officials in Salt Lake City were quick to apologize Monday, telling the Salt Lake Tribune that the Utah-based faith "sincerely regret[s] that the actions of an individual member ... led to the inappropriate submission of these names," which were "clearly against the policy of the church." "We consider this a serious breach of our protocol," spokesman Scott Trotter said in a statement, "and we have suspended indefinitely this person’s ability to access our genealogy records." In the practice, known as "baptism for the dead," living people stand in for the deceased to offer that person a chance to join the Church of Jesus Christ of Latter-day Saints in the afterlife, according to an account in the Tribune. Mormons believe it is their moral obligation to do the temple rituals, while those on the other side can choose whether to accept the action or not. According to the HuffPost, negotiations between Mormon and Jewish leaders led to an agreement in 1995 for the church to stop the posthumous baptism of all Jews, except in the case of direct ancestors of Mormons, but some Mormons failed to adhere to the agreement. Wiesel was among a group of Jewish leaders who campaigned against the practice and prompted a 2010 pact by which the Mormon Church promised to at least prevent proxy baptism requests for Holocaust victims. Wiesel said that proxy baptisms have been performed on behalf of 650,000 Holocaust dead. The Huffington Post said it had reached out via email to the Romney campaign for comment. In an email accidentally sent to the reporter, spokeswoman Gail Gitcho suggested that the campaign ignore the request. Was study of digital billboard safety botched?